The movement inside the machine, or the agitation, is determined by the wash cycle setting. The more agitation there is, the more aggressive the cleaning. 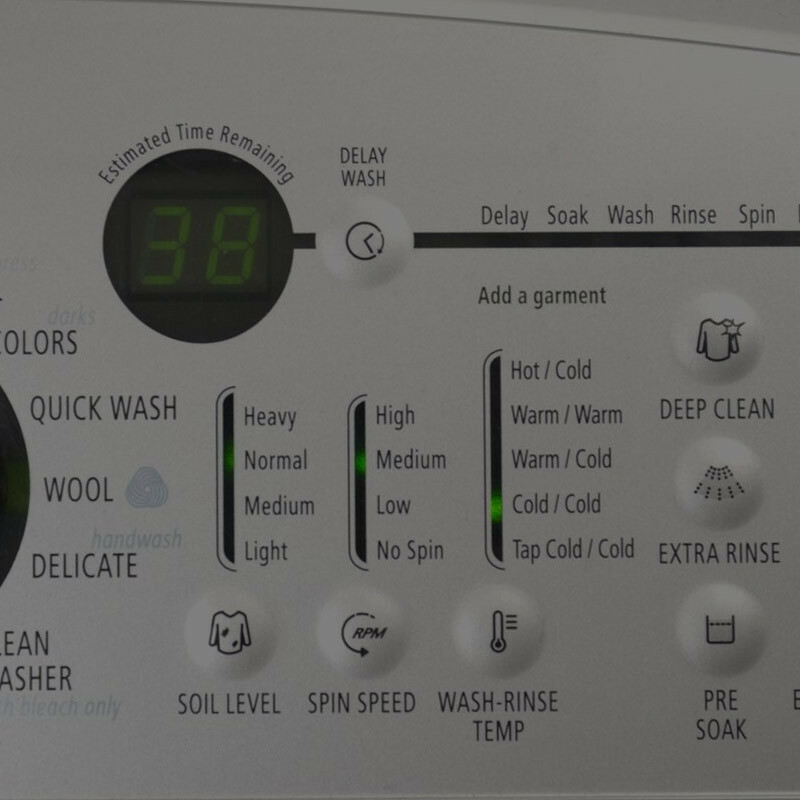 Selecting the correct washing cycle is just as important as choosing the right water temperature. Understanding washing machine cycles is an important part of taking care of your clothing and linens. 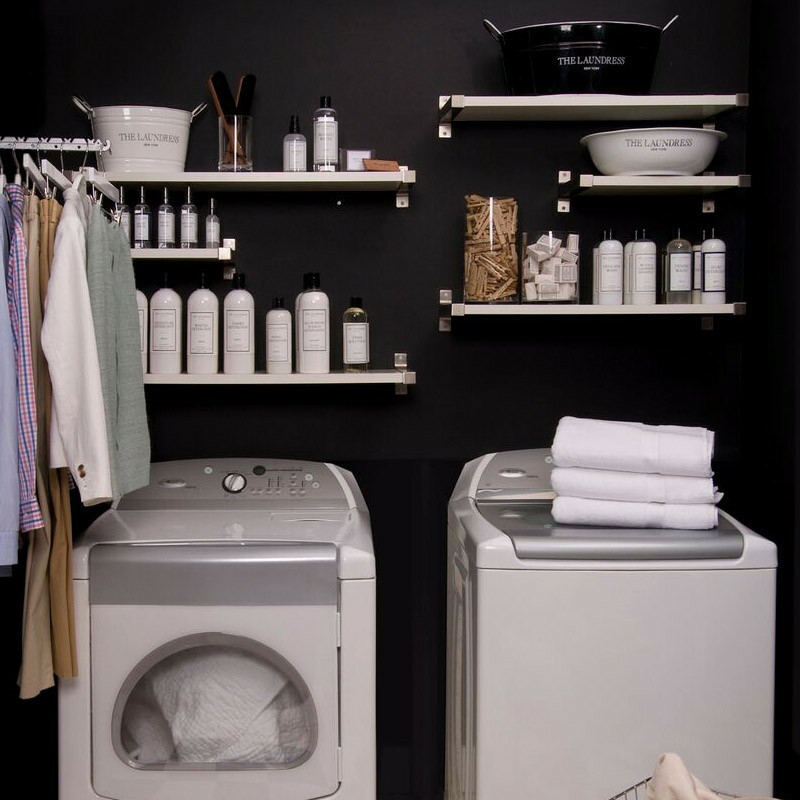 The Laundress designed this guide to help you understand which cycle is best for your laundry. Not all washing machines are created equal. Each has their own efficiency, capacity, and features. 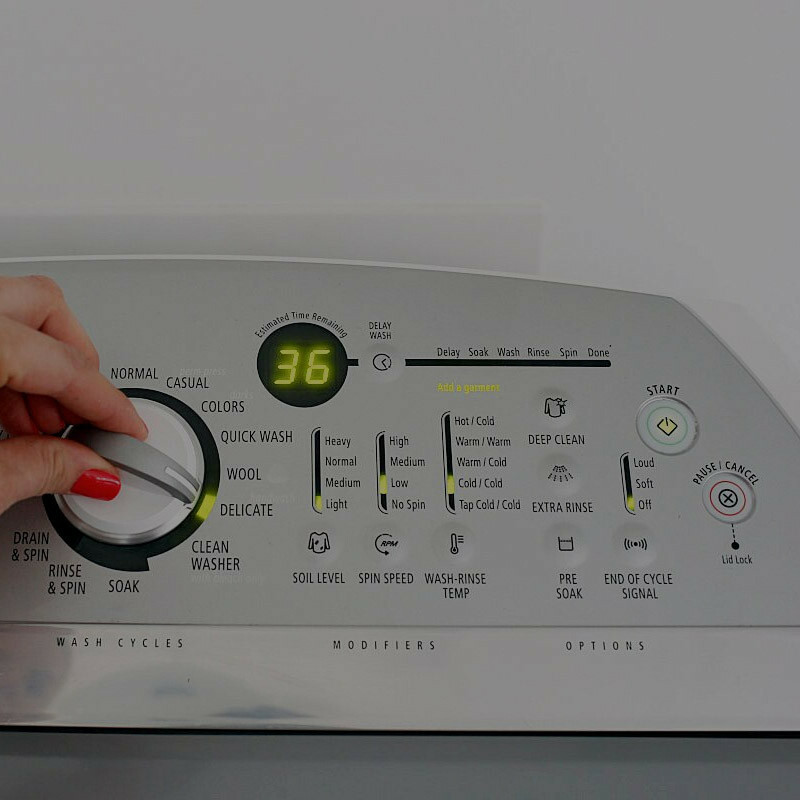 Some are top-load, some are front-loading, but no matter what your washing machine, we can help you get a better handle on which wash cycle to choose to keep your fabrics looking like new. Walk through the different wash cycle settings and learn how to choose the right intensity and temperature for your fabrics. Get deeper insights into when to use the delicate wash cycle, wool cycle, permanent press, or custom wash cycles. Not all fabrics can tolerate machine washings. Learn more about the synthetic wash process for items like nylon track suits, acetate blouses, and workout clothes in our understanding wash cycles guide. With high agitation and a lengthy cycle, the Normal cycle is the most intense option. This cycle may ask you which water temperature you'd like to use. Select the temperature based on the contents of the load. Select the Normal cycle for everyday laundry items made of cotton, linen, and durable synthetics, such as sheets, towels, T-shirts, socks, and underwear. The Permanent Press cycle was created in the 1940s in response to the advent of synthetics, wash and wear, and wrinkle-free clothing. Shorter than the Normal cycle, this cycle uses warm water with lower spin. At The Laundress, we rarely use this cycle since we tend to wash our durable synthetics on the Normal cycle and our delicates on the Delicates cycle. ♦ Workout clothes: We prefer to wash these synthetics on Delicate. However, if they require heavy-duty cleaning, we select the Normal cycle and choose hot water. 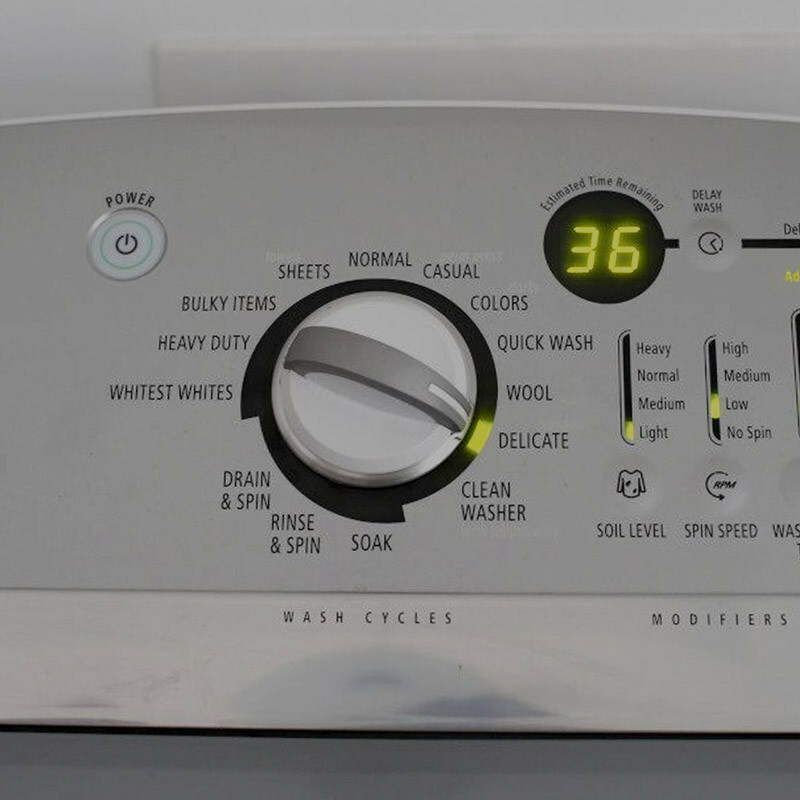 Some machines include additional cycle options such as “Heavy Duty” or “Whitest Whites.” Selecting one of these settings in addition to the regular setting (Normal, Delicates, Permanent Press) generally intensifies whichever cycle you're using, including a presoak and adding more water, extra agitation, more time, and/or an extra rinse. 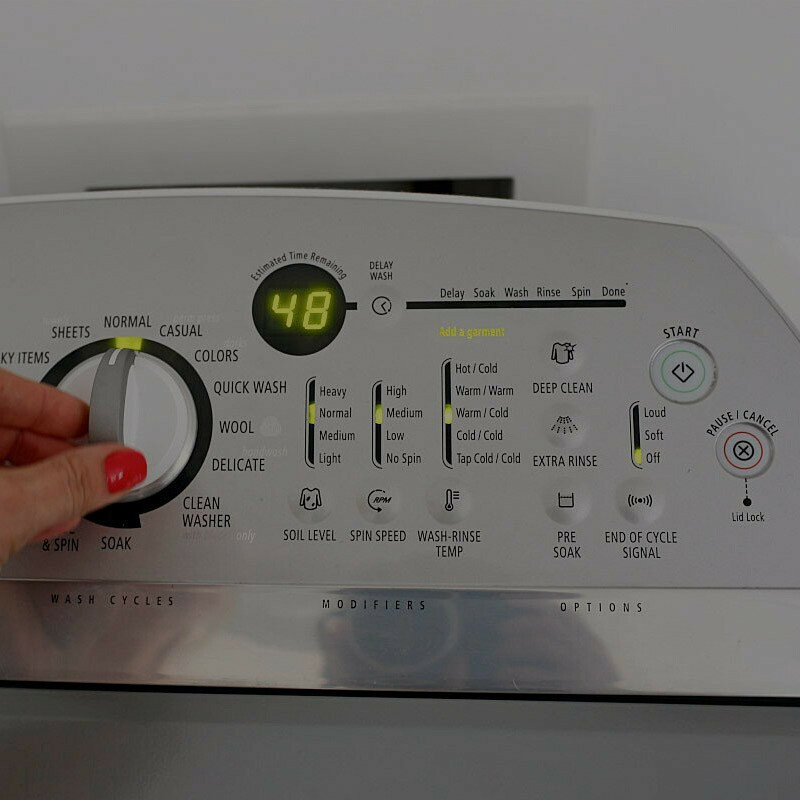 You can opt for one of these settings when washing heavily soiled laundry. Note that machines vary in their washing intensity. Get to know the machine. Note: It's okay to add an extra rinse cycle when washing any material. However, adding additional agitation should only happen for cottons, linens, and durable synthetics. Excessive agitation, even when using cold water, can cause shrinkage. What do the temperatures on my washing machine dial refer to? The first temperature refers to the cleaning water. The second refers to the rinse water.